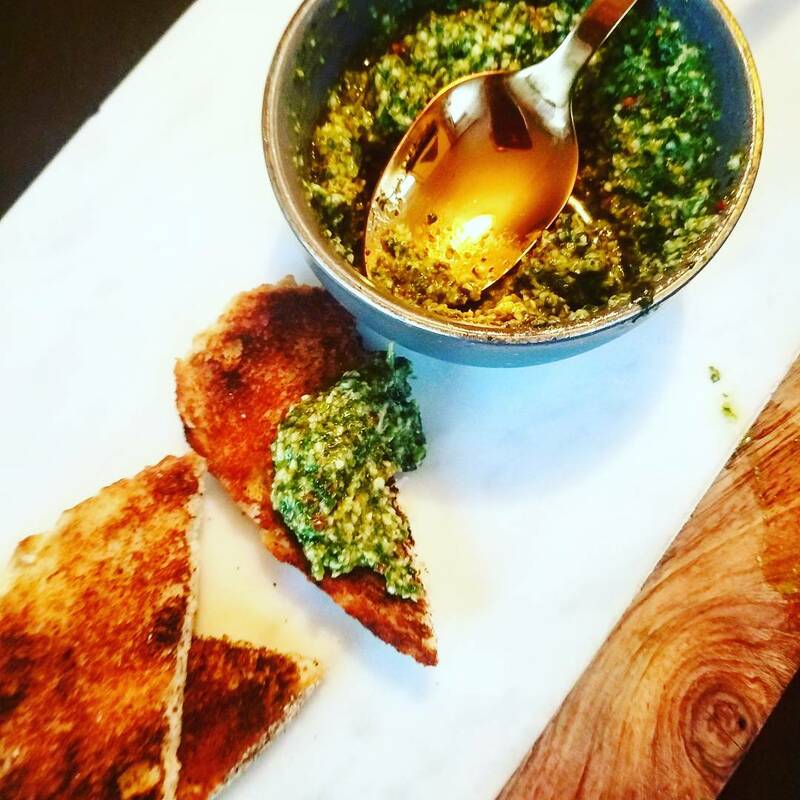 Anyway… I like to make my pesto with pistachios. Because why not? 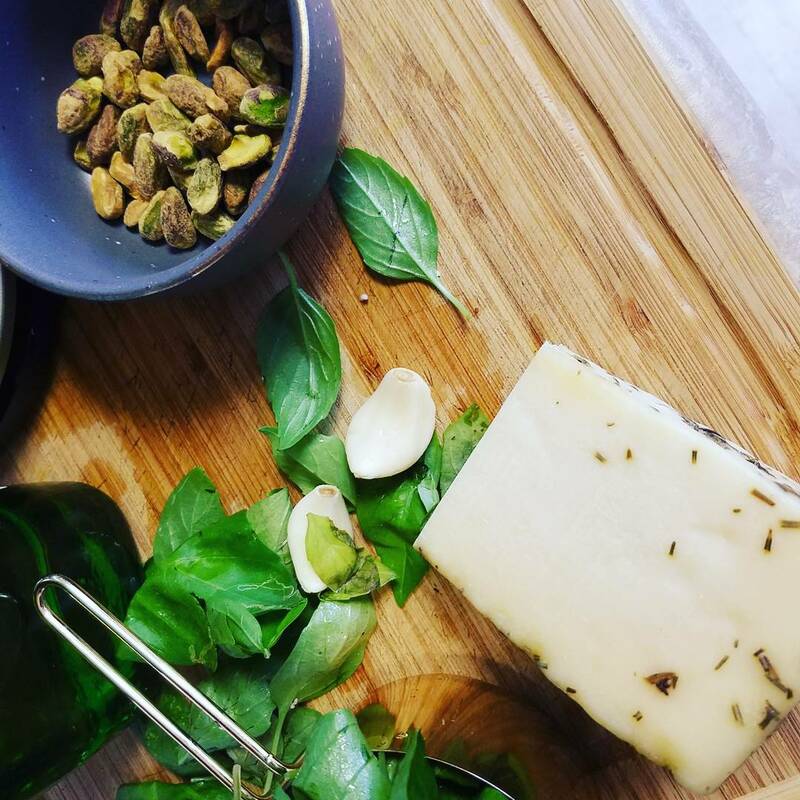 Pistachios are salty, pop-able and craveable little bites of green goodness, and one of my favorite nuts. 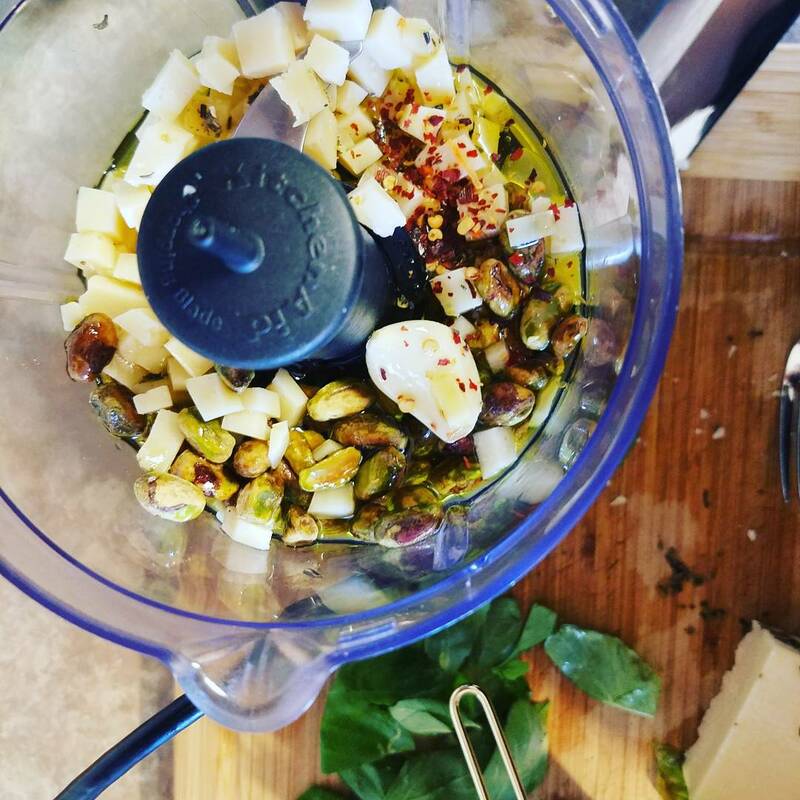 I have been making my pesto with pistachios for quite some time now. First, they are a great fit for this spread. And second, they are one of the things that is almost always in my home. Randomly whipping something like this up becomes a simple endeavor when you have figured out how to stock your pantry and fridge with the ingredients you use the most. The ingredients that have the most applications and that you find yourself using with some frequency. I know not everyone has that on lock down. But if you haven’t pieced that mystery together yet, start taking mental notes when you cook. 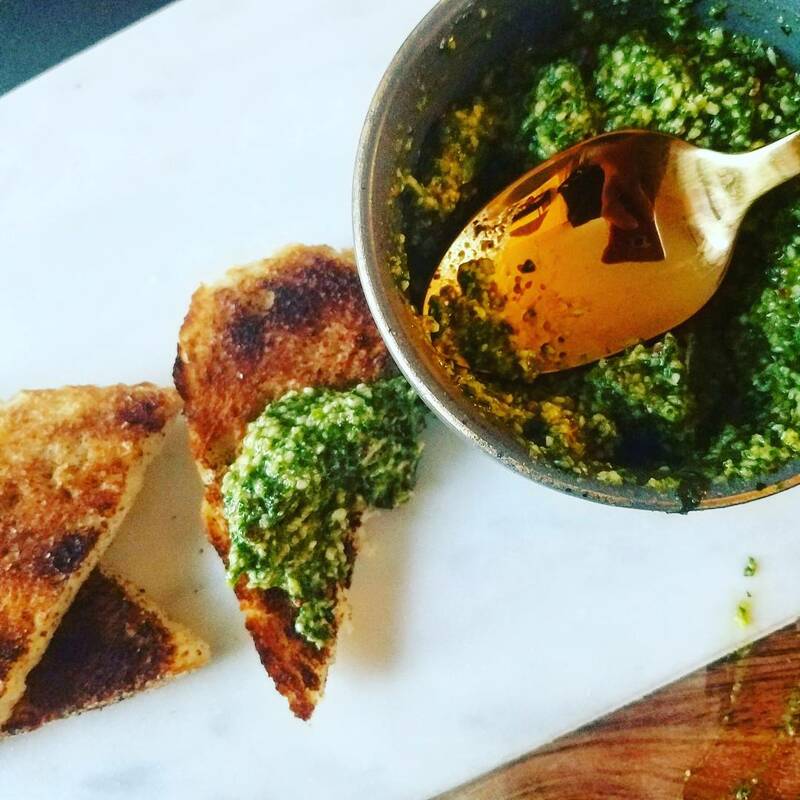 When I was writing my grocery list to make this ingredient heavy panini, I knew I wasn’t going to have to buy pesto. One, I can probably make it better. But two, my herb garden has basil and my cupboards (not wiped down, kids alive) has pistachios. Olive oil, garlic and cheese are also things that are almost always in my home. And that is the break down of pesto. 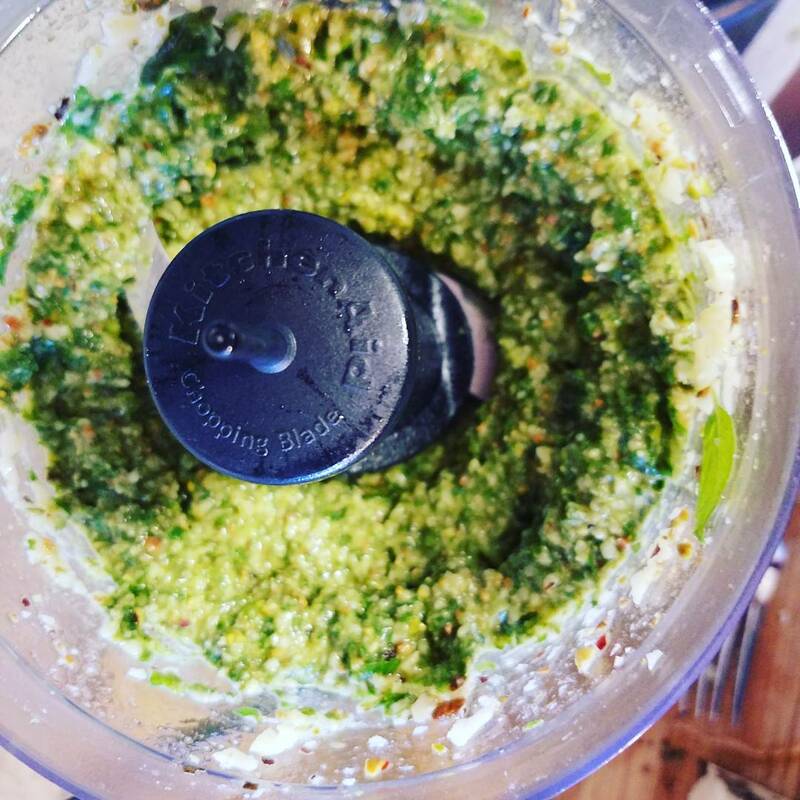 I like to add a pinch of red pepper flakes and a bit of lemon juice to my pesto as well. At least I sincerely hope you do. 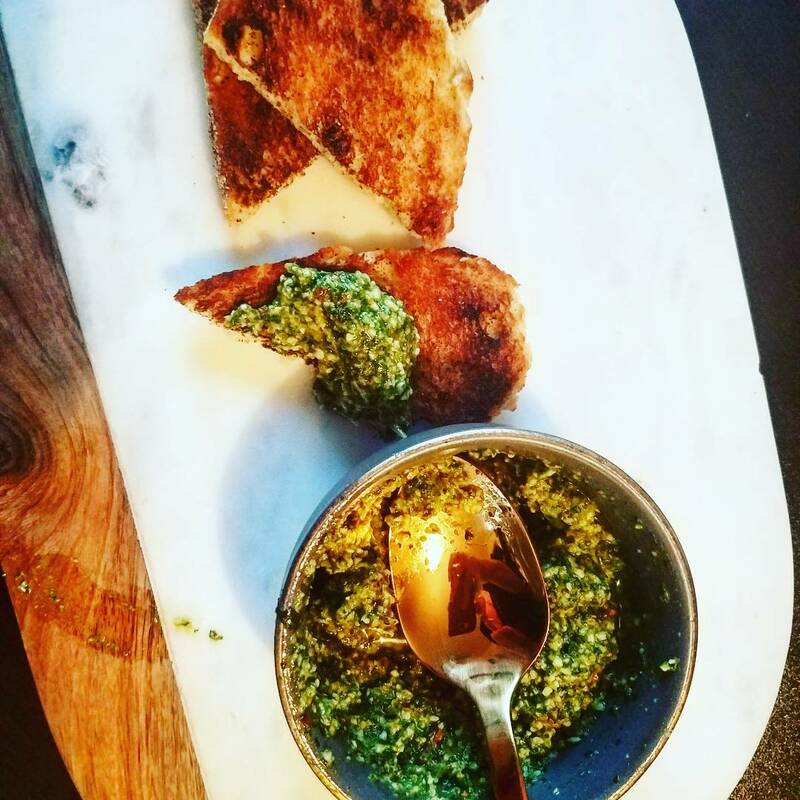 If not, this pesto just might be too difficult for you. Here is to hoping that is not the case. 1. 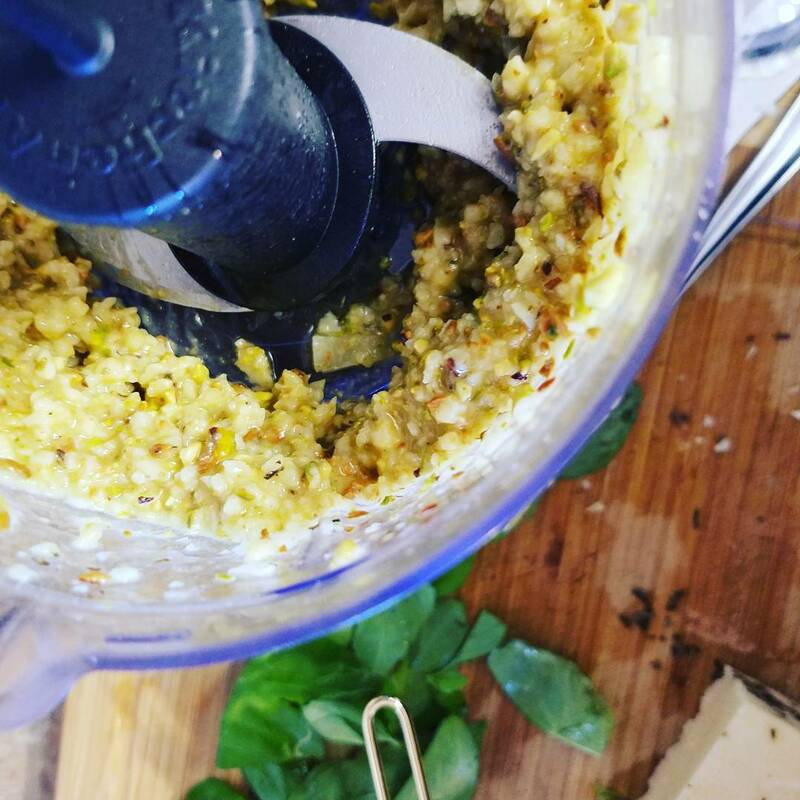 Add garlic, lemon juice, olive oil, red pepper flakes, Parmesan and pistachios to the food processor. 2. Puree until everything is broken up into small pieces and the mixture looks evenly "chopped". 3. Add the basil and blend again until everything is mixed well. 4. If you wanted to add additional salt or red pepper flakes you could always do so at this time.